Holidays are right around the corner and that means one thing no matter where you are or who you are with…FOOD. However, when you have family members and friends jam-packed in the kitchen, it can become crazy, hectic, and literally a hot mess. Take your Thanksgiving meal to a whole new level by taking it outside to the grill. 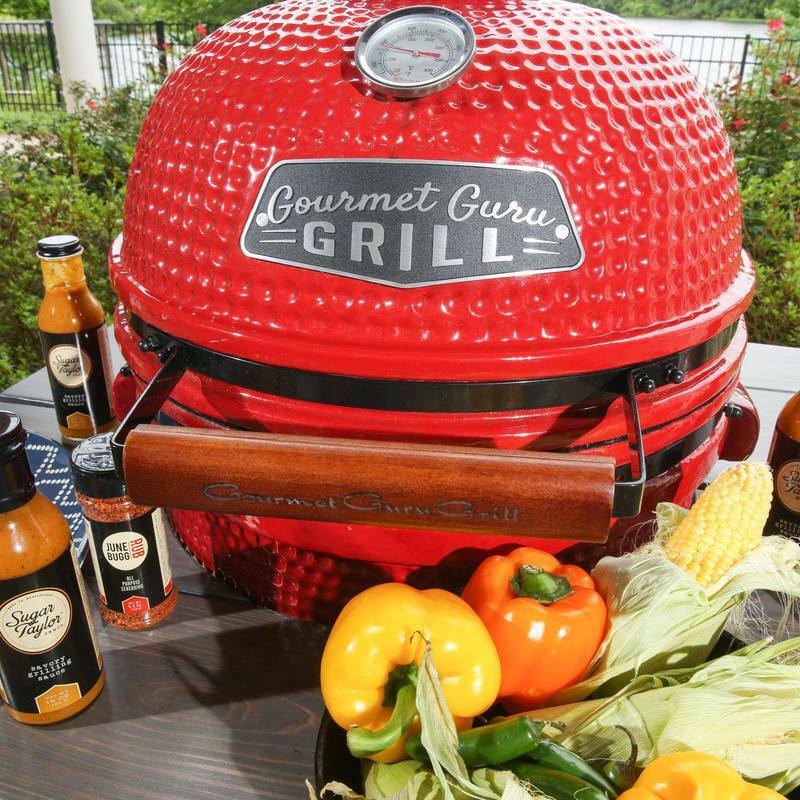 The Gourmet Guru Grill is perfect for creating all of your favorite holiday treats. Check out some of our ideas below to help you get started. For generations, people have been putting their turkey in the oven for hours on end. Then, the fried turkey made its debut. One method takes up valuable oven space while the other just creates a crazy mess. With the Gourmet Guru Grill, you can grill your turkey. The Gourmet Guru Grill acts a lot like a convection oven and distributes heat evenly. There are several different ways you can prepare and cook your turkey. Here are some suggestions. •	Prep your turkey with a brine process or a rub mixture. •	Add a little spice and flavor by injecting the turkey with certain flavors. •	Many have found that by cooking the turkey between 350 – 400 degrees, you are able to get a nice crisp on the skin. •	Make sure to use a meat thermometer. Depending on the size, your turkey should be good to pull from the grill when it hits between 160 – 165 degrees. It wouldn’t be a true Thanksgiving meal without your favorite side dishes. The Gourmet Guru Grill is great for grilling whole ears of corn, sweet potatoes, regular potatoes, and even stuffing. One of our favorites is Grilled Green Bean Casserole. Many people don’t realize that the Gourmet Guru Grill acts just like an oven. To really pull in a smoky flavor, cook your fresh green beans in a grilling basket for about 15 minutes or until they have a good char on them. Then add them to your other ingredients like you would in your favorite recipe. Once you have everything in a heat resistant baking dish, use your grill to bake the casserole as you would in the oven for about 15 minutes on a medium to high heat temperature. Most people ignore the sweet stuff when it comes to grilling. However, here at Gourmet Guru Grill, we know that our grills only make deserts even better. Free up some oven space by cooking your pumpkin pie on the grill. These are just a small fraction of the things you can cook on your kamado style Gourmet Guru Grill to free up some space in the kitchen. Like our Facebook page for even more holiday grill inspirations throughout the holidays. Want to check out the Gourmet Guru Grill for yourself? Check out our DEALER LOCATOR on our website to find a retailer near you.